These Turkey Meatballs with Chimichurri are full of flavor and easy to make. They’re perfect for sharing at parties or served over pasta, rice or on their own. Chimichurri is one of my favorite sauces. Chimichurri originated in Argentina and each recipe is as unique as it’s creator. Most often, the main ingredients are parsley and/or cilantro, garlic, olive oil, vinegar and a mix of spices. It’s commonly served over grilled red meat but is also delicious on grilled poultry. Chimichurri closely resembles pesto and like pesto, it’s very easy to make. I found chimichurri to be a wonderful compliment to these turkey meatballs. These delicate bites were enjoyed as a main course along with a simple salad, but they would be perfect as an appetizer or served with pasta. Can we talk about these meatballs for a moment? This recipe for turkey meatballs is the only recipe I use when making meatballs. In fact, when I make meatballs with ground beef, I still use all the other ingredients because the flavors together taste so good. I use my food processor to finely chop up the onion, parsley and garlic. Just a few pulses of the machine guarantees the perfect sized pieces. If a knife and a chopping board are more your thing, use them. It’ll be fine. To the onion mixture, I mix in fresh or dried basil, oregano and thyme. I add in a hefty amount of grated parmesan cheese, eggs, bread crumbs, salt and pepper and bake them in the oven for 25 minutes. After the meatballs bake, I place them on a serving platter and drizzle chimichurri over the tops. Keep a little bowl of chimichurri nearby to add extra to the meatballs as you like. These meatballs are so full of flavor and zest, I’m sure you’ll love them as much as I do. These Turkey Meatballs with Chimichurri are full of flavor and easy to make. They're perfect for sharing at parties or served over pasta, rice or on their own. Combine the parsley, basil, mint, and garlic in a food processor (or finely chop ingredients and mix in a large bowl). Add the vinegar and oil and stir or pulse the food processor a few times to combine. In a large bowl, combine the onion, garlic, parsley, basil, egg, breadcrumbs, Parmesan, oregano, thyme, salt, and pepper. Using a large spoon, stir to blend. Add the ground turkey and stir until ingredients are thoroughly combined. Form the meatballs into 1 1/2-inch balls. Place the meatballs on a large baking sheet, spacing 1-inch apart. Bake until cooked through, 25 minutes. I always wonder why I don’t make chimichurri more often, it’s so easy. Girl! You had me at chimichurri! I am totally addicted to the stuff, I would put it on everything if I could but my husband wouldn’t be too happy about that! 🙂 These sound killer! 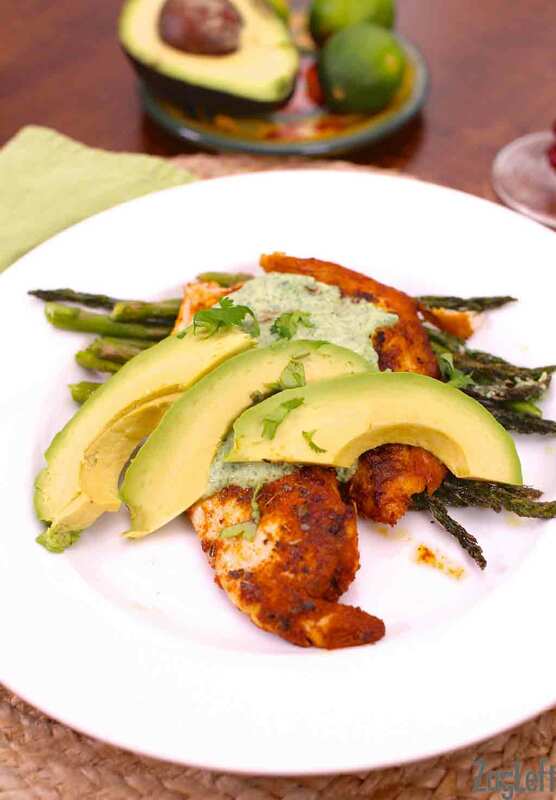 I recently discovered a love for chimichurri sauce, but have never tried it with turkey – what a delicious idea! I make turkey meatballs so often and usually with sauce or an Asian style. Now I’ve got to try this version with the flavorful chimichurri! That vibrant green on top of those flavorful meatballs….I can hardly stand it! I am jumping through the screen! I’m not sure which I like more – the chimichurri or the meatballs. I’ll bet they are fantastic together! Such a great combination, thanks Dara! I love that you made chimichurri sauce with these turkey meatballs…sounds so good together! They were fantastic, Judy. Thank you! I love turkey meatballs – healthy and easy! So true, Maris. Thank you! I love chimichurri, but have never thought to pair it with meatballs. Great idea! I love chimichurri too, Michelle and it was really tasty with the turkey meatballs. I usually enjoy it over steak and this was a nice change. These meatballs look absolutely amazing. I love chimichurri so this is right up my alley. Plus turkey meatballs are always a hit. I had chimichurri once and it was to die for. I need to make it again soon. Yours looks awesome! Thank you, it’s so full of flavor – I love it! I have never had chimichurri before but we are big pesto eaters so I am thinking we would love it! Chimichurri is the best sauce on the planet. So, so delicious!